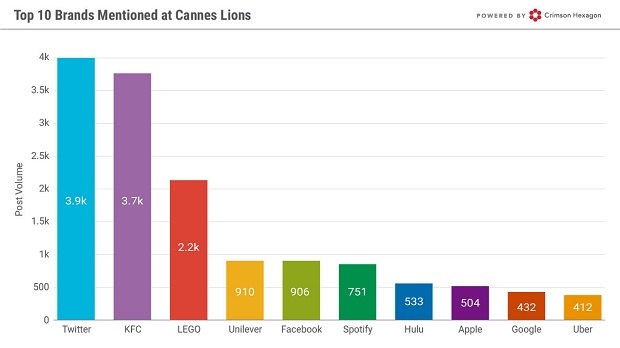 With Cannes Lions ending for another year, Crimson Hexagon took a look back to see which brands and agencies generated the most buzz. 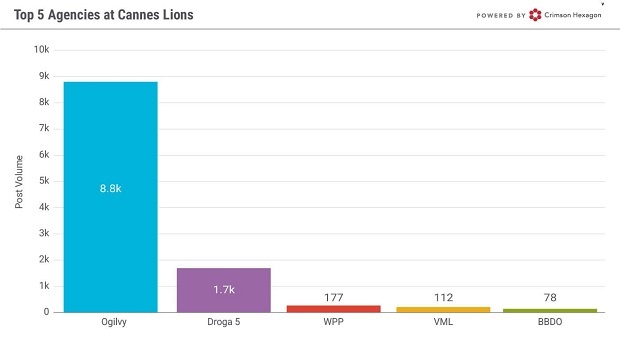 •	Ogilvy was the clear winner, generating almost 9,000 social posts in comparison to 1,700 by closest competitor Droga 5 . 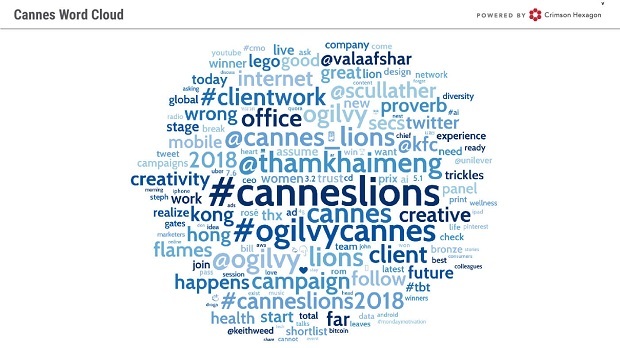 A word cloud of the social conversation shows top influencers as Tham Khai Meng of Ogilvy and Facebook and Vala Afshar of Salesforce.